One heck of a mystery! My friend, Julie Royce, was an Assistant Attorney General in Michigan where she prosecuted doctors who violated their oath to do no harm. Many of her cases involved over-prescribing for profit. She has used her experiences to create the background for a fictional tale of murder, greed and betrayal. 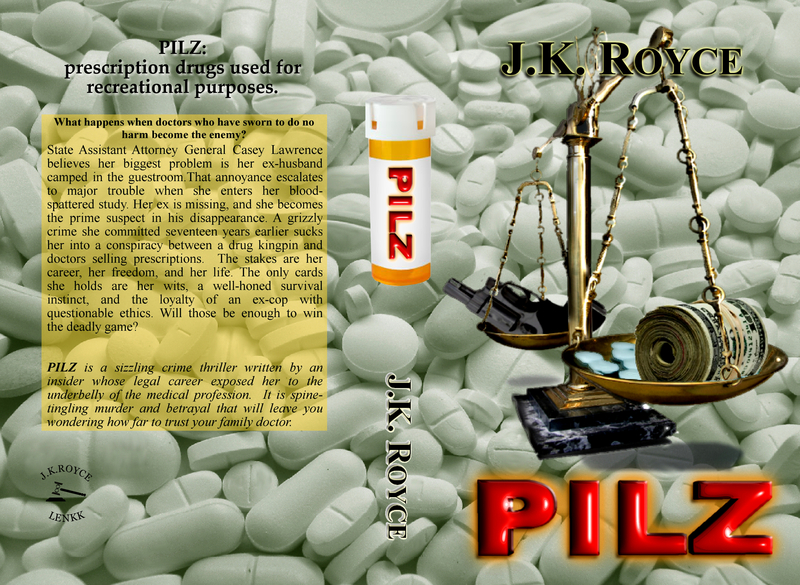 I had the pleasure of being a Beta Reader for her thriller, PILZ. An avid mystery reader, I am hard to please. PILZ had me from beginning to end, a great story, a great mystery. Published earlier this month, it is available on Amazon. I encourage you to order a copy today.